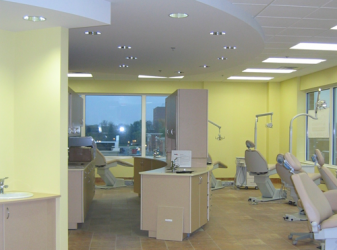 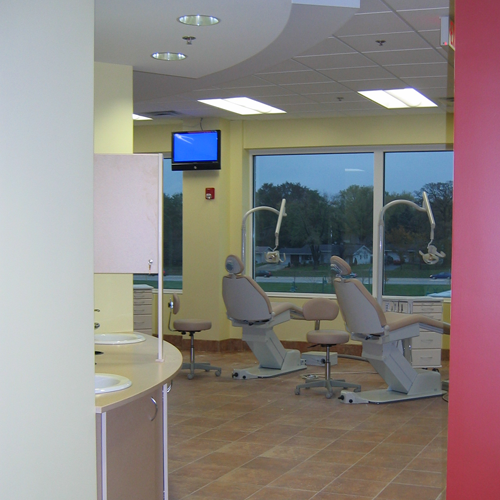 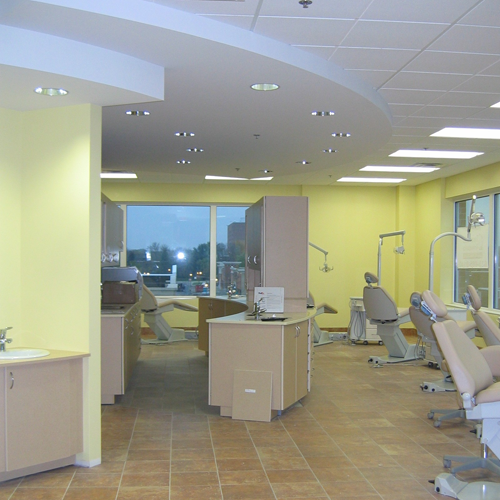 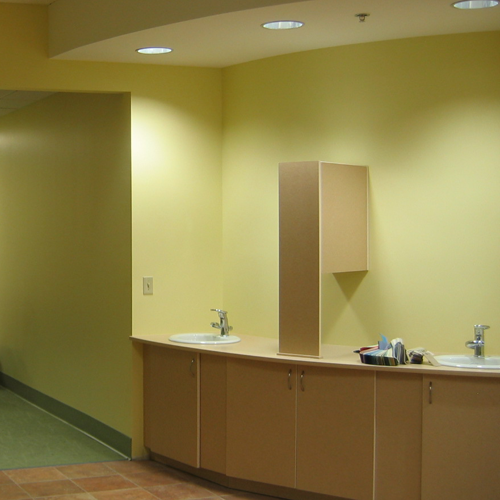 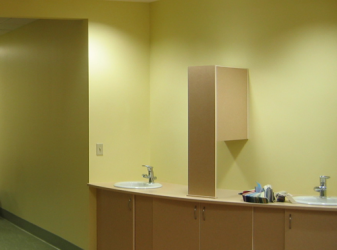 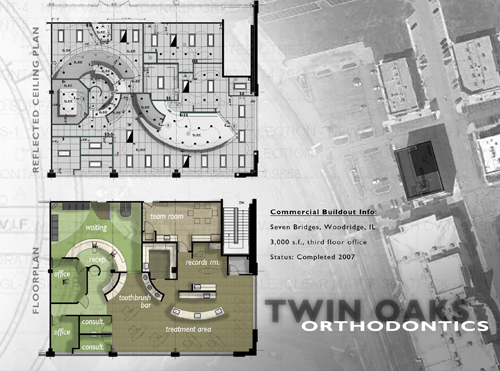 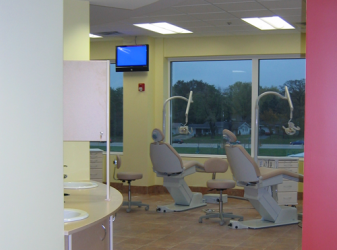 This Orthodontist office located in Woodridge, Illinois was a 3,000 SF architectural and interior design project completed while working with Image in Design Architecture, Inc. 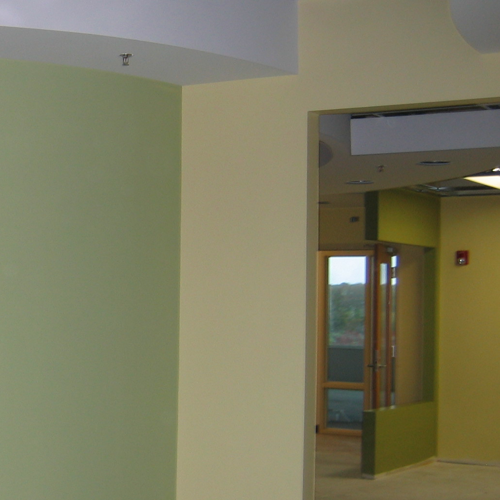 The client requested a bright and colorful space that would speak to her young clientele. 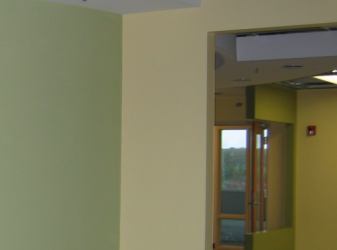 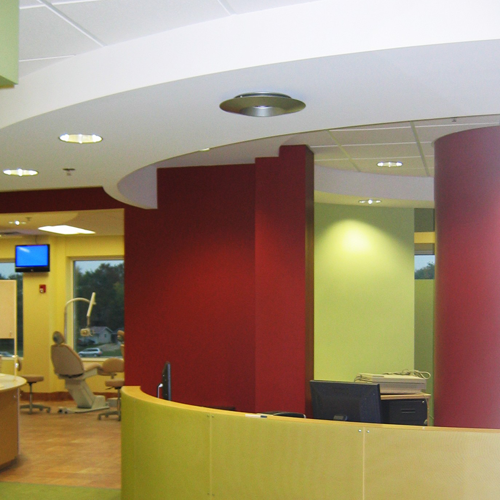 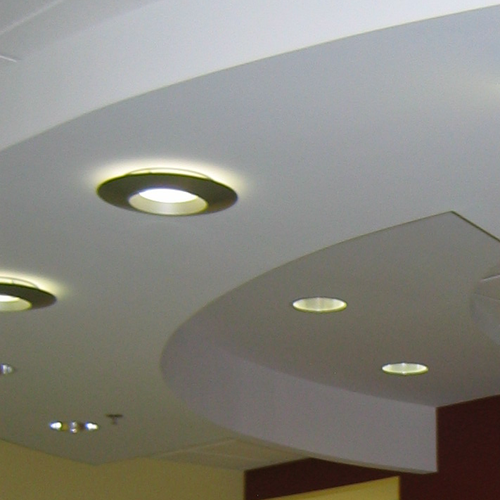 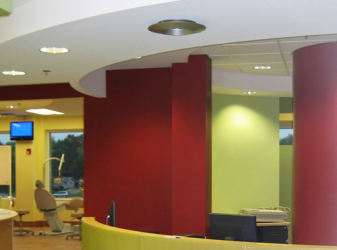 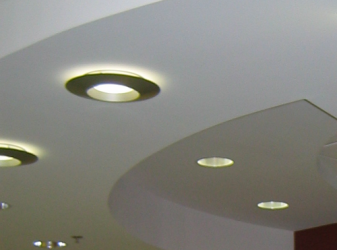 Circular forms for the desk, walls, and ceiling soffits were incorporated into the design to create a more playful environment and minimize the rigid nature of the office suite.